Boots and BriarsLearn about Boots and Briars here! 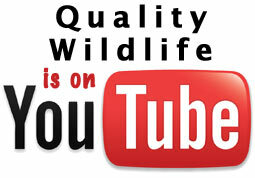 Quality Wildlife services, makers of the Covey Base Camp and Total Recall, is more than a quail hunting product manufacturer. Much more! We’re your complete source for habitat management consulting. 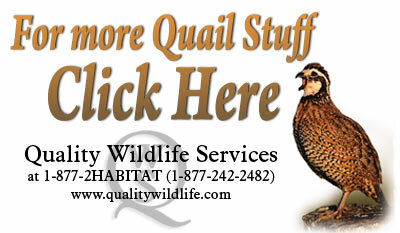 Jim Evans, inventor of the original Covey Base Camp�, is also a leading quail expert and certified wildlife biologist. Through years of consulting work for private landowners, commercial operations, universities and conservation organizations, Jim has developed unprecedented knowledge in quail habitat, and writes habitat management articles for several conservation magazines. He knows what it takes to turn a flight-conditioned quail into wild, anchored coveys!